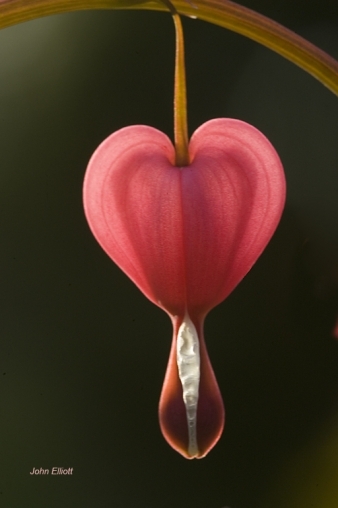 This bleeding heart backlit by late afternoon sun was down in Jackson Garden at Union College. I took photo after photo getting closer and closer as the sun continued to "blast away". I could not get any closer than this one. This photo is not cropped.